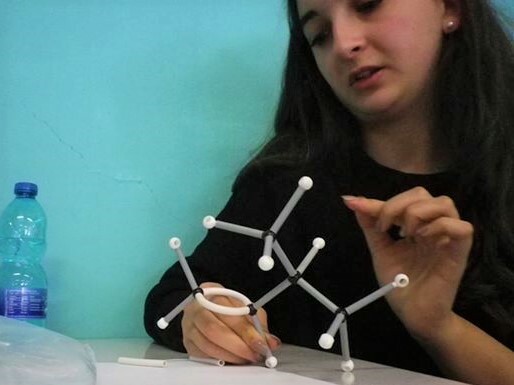 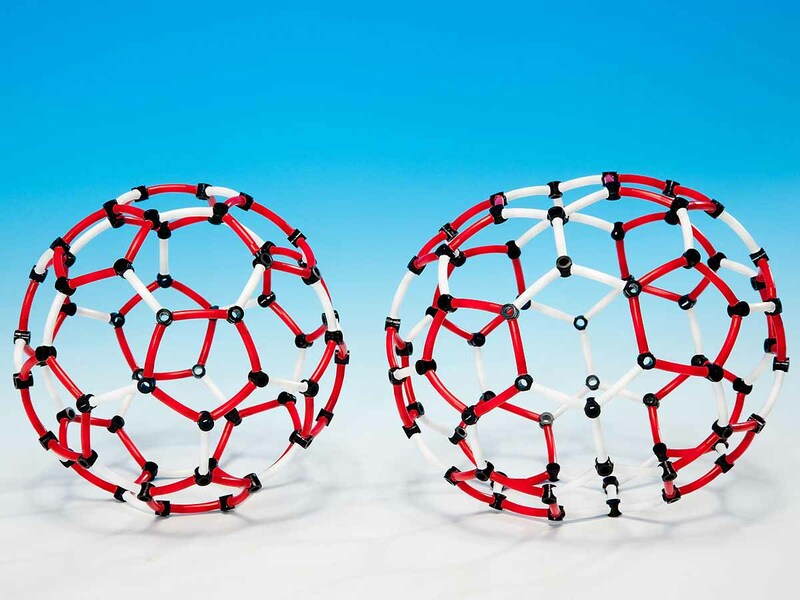 Compare the structure of two common fullerenes – C60 and C70. 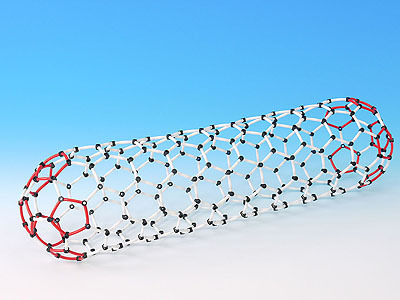 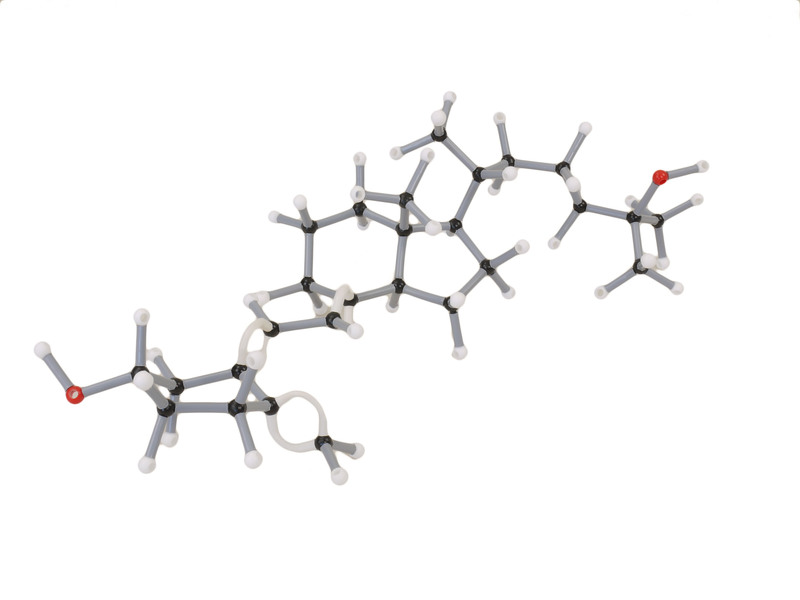 Carbon 60 is the nearly spherical football-shaped molecule consisting of 60 carbon atoms. 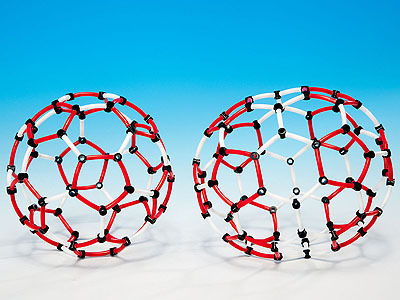 It is also known as the Buckyball and is the most stable example of the fullerenes. 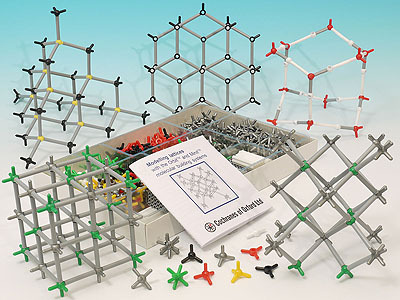 The model is composed of 12 pentagons and 20 hexagons with alternating double and single bonds illustrated by different colour tubes. 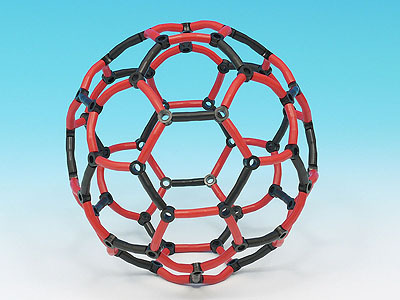 The C70 fullerene model consists of 70 carbon atoms. 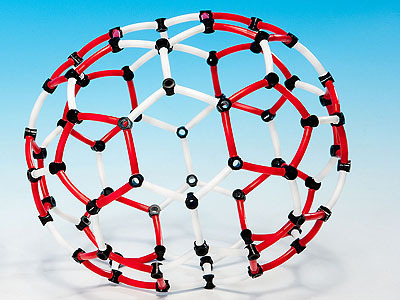 It resembles a rugby ball in shape and is composed of 25 hexagons and 12 pentagons with single and double bonds illustrated using different colour tubes. 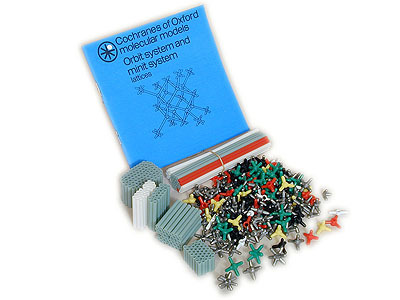 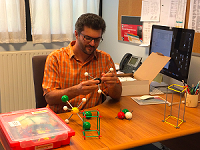 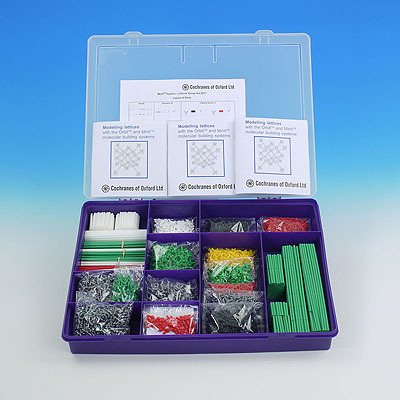 The kit includes full instructions and 130 carbon atoms from the Minit molecular building system.